It’s grey and cool out there but at least the rain has stopped for now. There should be a nice crowd circulating around the neighborhood tonight. There almost always is. We have lotsa kids running around here. The gummys are taking an afternoon nap and after that we’ll carve a pumpkin to make a jack o’lantern. Maybe it’s just me and maybe I’m a bit weird but I like how a carved pumpkin looks and how it smells when a candle heats it up. Like I said, maybe I’m weird. 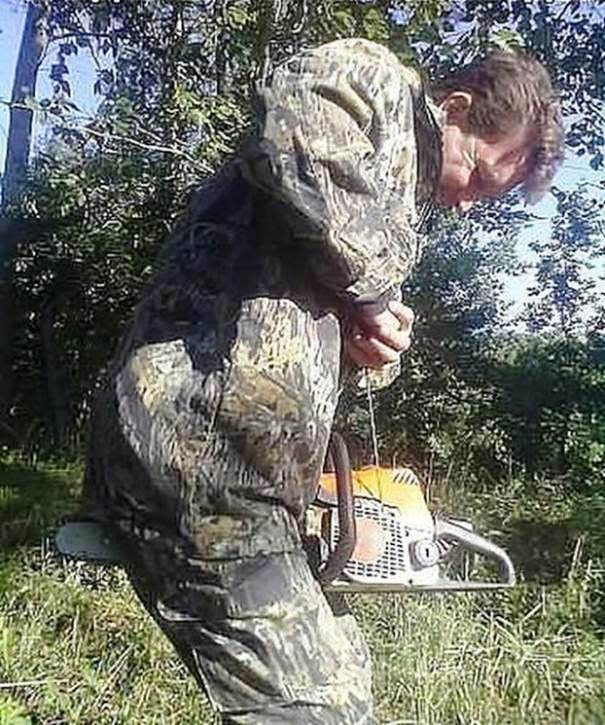 I noticed right away that he didn’t have on a hard hat, gloves, hearing protection or eye protection. I doubt he was wearing steel toed boots too. I love Halloween. 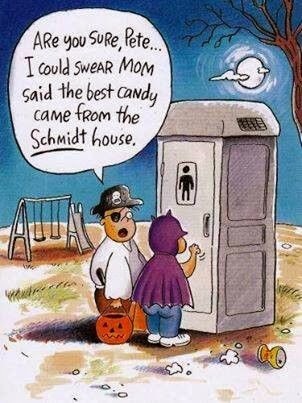 It has such great candy associated with it. We’re just not gonna tell my dentist that I’m chewing on some Milk Duds. That would go over like a lead balloon with her. Minnesota. Don’t like the weather? Just wait a while and it will change. It did. Ugh! We were supposed to have sun today and thru the weekend. It’s cold and grey instead. Boogie won’t be around tomorrow night to watch “Nosferatu” with me. I so hate seeing traditions end. I’ll sit in the dark with my hot buttered popcorn and watch it all by my onesy. The plus up is I’ll be out and about tomorrow night with my gummys as they plunder and get loot. I wish the sun would come out soon so the gummys can go swishing their feet thru the leaves. 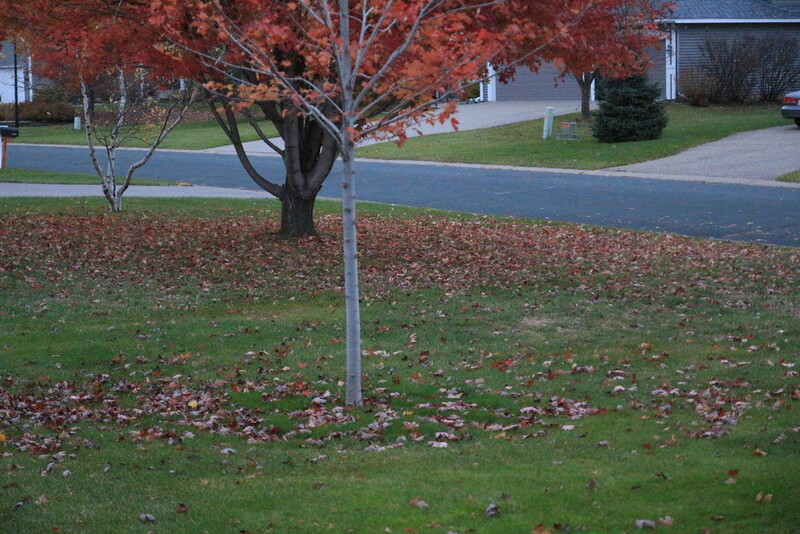 There’s something about making a pile of leaves and playing around with them. I usually lump organized religion, organized labor, and organized crime together. The Mafia gets points for having the best restaurants.